Bring the thunder at your event and book Imagine Dragons to put on a radioactive performance that will leave the crowds in awe. As a booking agent for Imagine Dragons we can help arrange for them to put on an incredible show at your function and make it one to remember. 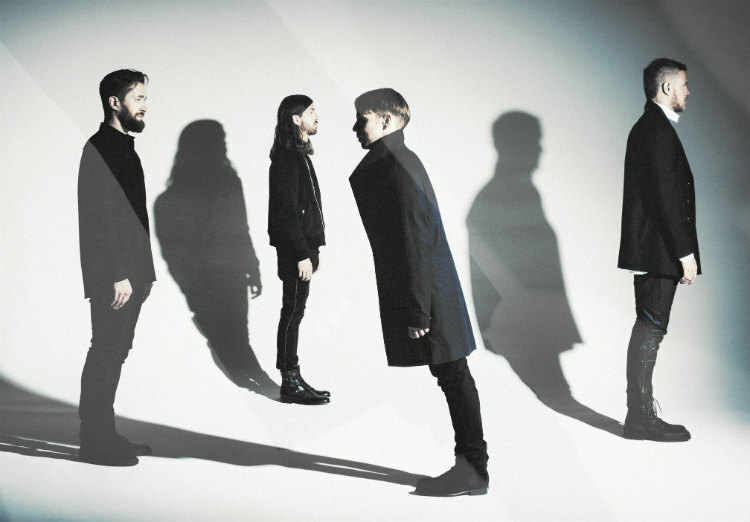 Imagine Dragons have taken the world by storm since their inception in 2008. 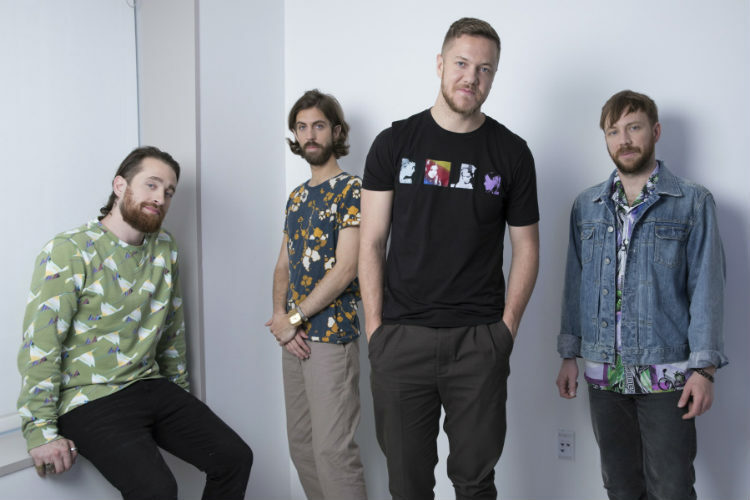 Lead singer Dan Reynolds and drummer Daniel Platzman were responsible for the band’s creation; meeting at Brigham Young University and steadily adding a number of talented artists to their ranks over the years. Their unique name was inspired by an anagram of a phrase that only the band members know and have kept a secret. As they experimented and wrote material, Imagine Dragons soon found their sound and started performing at shows and venues in their hometown of Utah, raising their status and amassing a large following. With a strong entrance on to the music scene propelling them forward, the band moved to Las Vegas. The rock bands first big break came when they were asked to fill in for renowned band Train when their front man was too ill to perform. Imagine Dragons took to the stage at the Bite of Las Vegas Festival in 2009, performing to a crowd of over 20,000 with an unforgettable show that boosted their reputation. They followed this up with 3 EP’s that were released over 2010 and 2011, adding to the buzz generated by their big performance. They first broke into the charts when they collaborated with producer Alex Da Kid, reaching no. 40 on the Billboard 200 in 2012 with an EP they released on Valentine’s Day. Imagine Dragons hit the big leagues with their catchy, upbeat single “It’s Time”. The track got a no. 15 spot on the Billboard Hot 100, was nominated for an MTV Video Music Award and eventually certified double platinum. 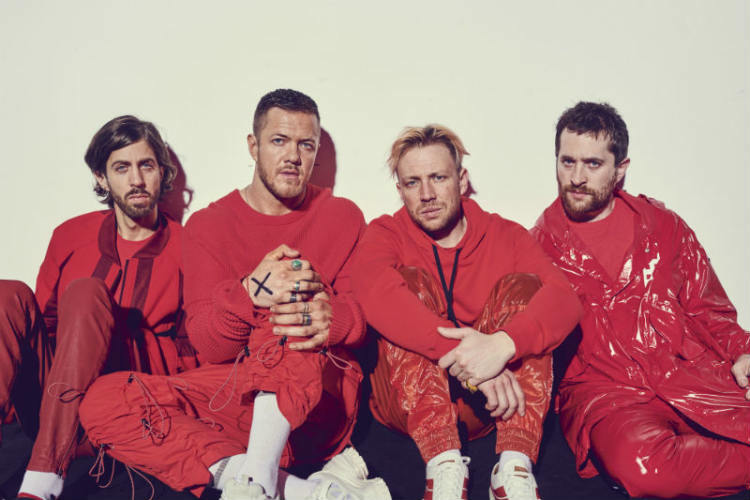 Their rise to stardom in full motion, Imagine Dragons continued to spread like wildfire, generating a mass of new fans and releasing their debut album not long after their chart breakthrough. The album, titled ‘Night Vision’, came out in the summer of 2012 to a wealth of critical acclaim, winning a Billboard Award for Top Rock Album. The album also contained the majorly popular hit song ‘Radioactive’, one of the bands biggest songs to date. The success of the track led to countless awards and achievements, including the no 1. Spot on Billboard Alternative Songs Chart and Billboard Rock Song Chart. In addition, it spent 87 weeks in the Billboard Hot 100, won a Grammy for best rock performance and is the best-selling rock song in digital history according to Nielsen Soundscan. Over time Imagine Dragons proceeded to grow their fan base and make their name, with 2012 and 2013 being particularly career defining years. Their success was recognised by various media names, with Billboard naming them as one of ‘2012’s Brightest New Stars’ and Amazon identifying them as the ‘Breakout Band of 2013’. With a fantastic sell-out tour promoting their Night Visions album completed, the band began work on new material. Their second album, ‘Smoke + Mirrors’ came out in early 2015, following a release of independent singles like ‘Battle Cry’ for blockbuster film Transformers: Age of Extinction and ‘Warriors’ for League of Legends World Championship. The lead single from the album, titled ‘I Bet My Life’, was another hit, charting in the top ten in numerous charts. Keeping up their status in the public eye, it wasn’t long before Imagine Dragons started hinting at their next album. Teasing their fans with cryptic tweets and videos to build the hype and hint about the forthcoming record. The lead single from the record was titled ‘Believer’ which attracted a lot of attention when it was used as the music for the Nintendo Switch Super Bowl advert. Subsequently, when the album, titled Evolve, was released on June 2017 it found a top 5 spot in countless music charts across the globe. Imagine Dragons fourth and most recent album was ‘Origins’, released late 2018 it featured a number of popular tracks. Notably, ‘Zero’ which was used in the hit Disney film ‘Ralph Breaks The Internet’ and ‘Bad Liar’ which reached no. 2 on the Billboard Hot Rock Songs chart. The album also catapulted to a number two position on the Billboard 200 and no. 1 on Billboard Top Rock Albums chart. 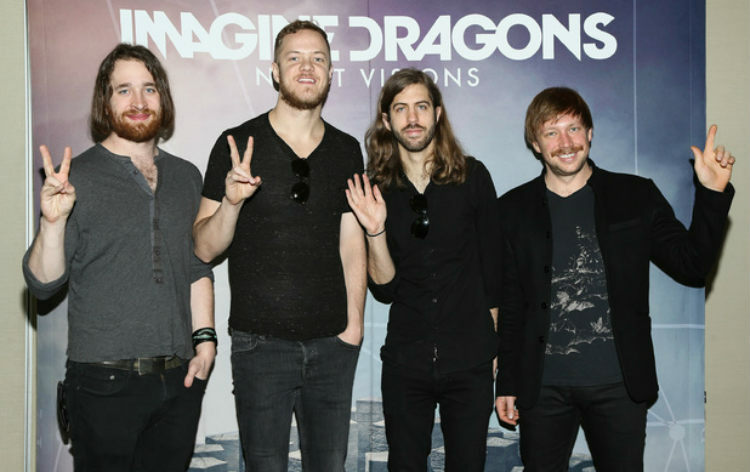 Thanks to their edgy, energetic and vibrant style, Imagine Dragons have had a meteoric rise to fame. This has been shown by their many awards and nominations, with 47 awards won and 138 nominations overall. Their accolades include 9 Billboard Music Awards, 4 Grammy nominations and one win as well as 3 American Music Awards. As a booking agent for Imagine Dragons we can arrange for them to put on an unforgettable performance at your event. 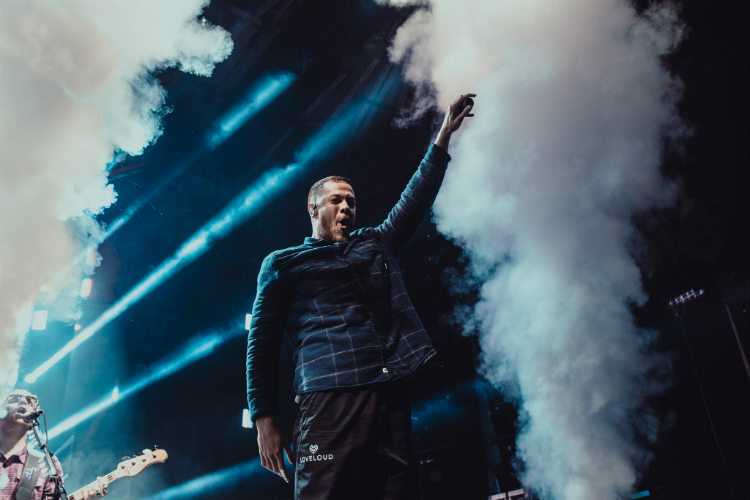 If would like to book Imagine Dragons just give us a call, our friendly and experienced account managers can put everything in motion, helping you to put on a one of a kind event. We are booking agents for a huge selection of famous musicians to hire, and we can recommend the best artists for your entertainment. 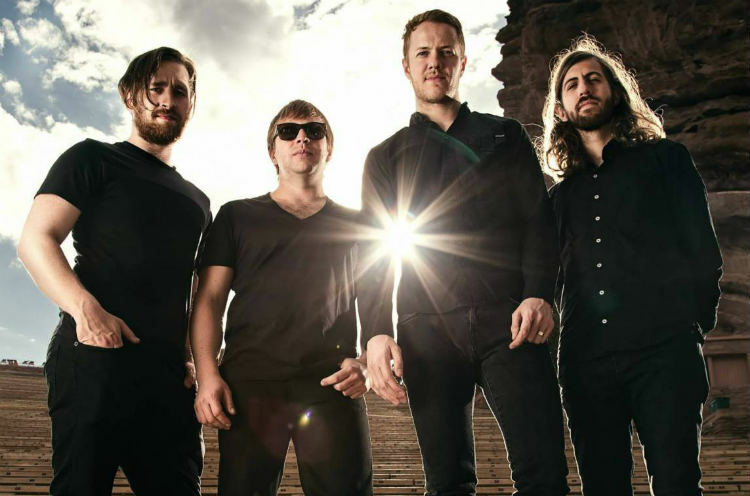 Imagine Dragons can be booked to play at your private or corporate event through Contraband International.